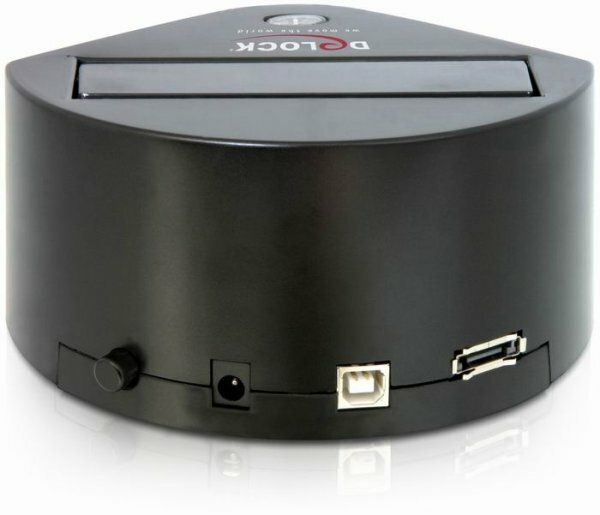 This HDD docking station allows the external connection of a 2.5" or 3.5" SATA hard disk drive via USB or eSATA, and offers stable hold for your hard disk. This solution does not require any external enclosure since you only have to plug the HDD into the docking station. The included USB and eSATA cables can be used for connection to a free USB or eSATA port. 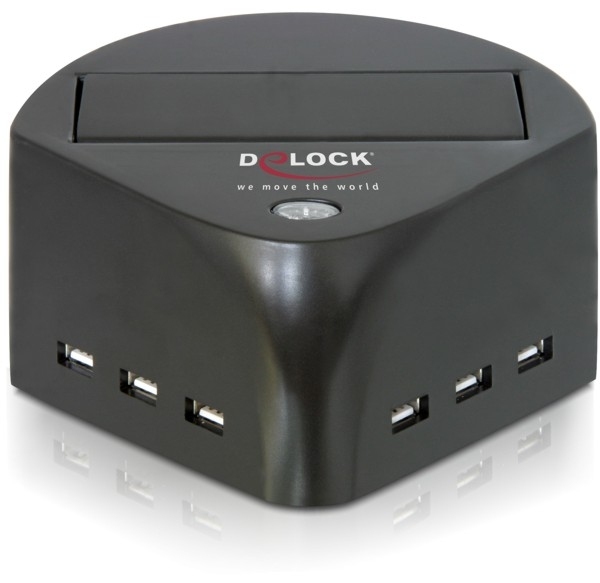 Furthermore the dockingstation provides a 6-port USB hub for using additional USB devices like adapters or card readers. Thanks to the One-Touch backup function, you can easily synchronize your data just at the push of a button. (function only available via USB connection).